It’s that thriller time of the week again! I’ve had the privilege to read the works of my next guest and it’s made me discover all over again the genre of sci/fi. 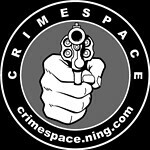 But today is all about crime thrillers! 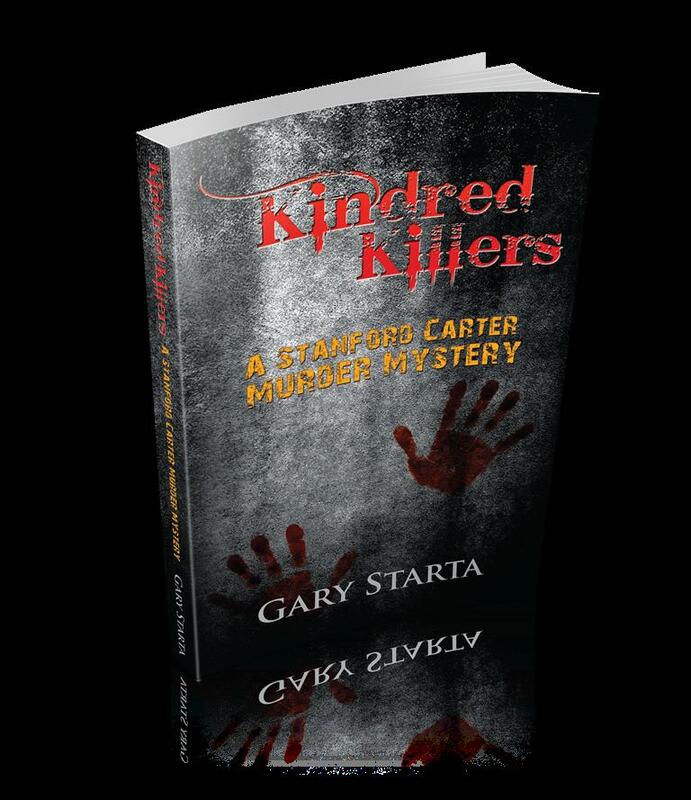 Please welcome Author Gary Starta with his latest release: Kindred Killers. Homicide Detective Stanford Carter uses Zen meditation to deal with the gruesome crimes of humanity. But his composure is severely tested when an unfaithful husband and stripper are not only murdered but showcased for their immoral lives. To test his mettle further, department policy is jeopardizing his romance with his CSI colleague Jill Seacrest. Marrying colleagues is prohibited and Carter must either end his romance or have Jill put in for transfer. The private detective hired by the family of the victims becomes the only suspect. Carter theorizes someone with knowledge in law enforcement is responsible for leaving clean but disturbing crime scenes. Further investigation leads him to believe a pair of killers might be working as serials. As Jill goes undercover to investigate the PI’s social life, Carter fears he might not only fail to stop the vigilante killings but lose the love of his life. Jennifer Chase: If Detective Carter was trapped in an elevator with three other people, how would he devise a plan to escape? Would he take any of the people with them? Gary Starta: If Stanford Carter homicide detective was trapped with others he would certainly have to rescue all of them. He would leave by himself only if he could come back for the others. He is a humanitarian and his conscience weighs heavily on him. He would definitely reject the philosophy of the needs of the many outweighing the needs of the few. Jennifer Chase: I’m liking him already. How do you get inside his head when writing? Gary Starta: I think it’s all about hearing their actual voice in your head. Once you tune into their channel, you are in essence recording them as if they exist. Jennifer Chase: I know exactly what you mean! So what’s your specific genre? If you could write in any other genre, what would it be and why? Gary Starta: This book Kindred Killers is one of my few attempts at pure mystery/crime, meaning I didn’t stick in any science fiction which is what I predominantly write. I guess Kindred Killers is my breakout novel when it comes to genre stretching. Jennifer Chase: So why should readers pick up Kindred Killers? Gary Starta: I believe I have a story which everyone can relate to: The psychological stress of life on any one individual. How much can one take before they are compromised? What are our boundaries when it comes to our brain? It’s fascinating and terrifying to consider whose voice is really in your head. I think this applies to all writers who hear their characters speak to them. Lol. Regarding Kindred Killers, the people of law enforcement obviously experience their share of stress. How do they cope and stay sane? How can they prevent from becoming what they chase? Jennifer Chase: Very well put. And what types of emotions will readers experience when they read Kindred Killers? Gary Starta: The murders may frighten one of course. Maybe some readers will empathize with the less than reputable characters of this book; on the other hand, they may feel disgust much like the killer(s). I believe the protagonist Stanford Carter’s steadfast resolve to never compromise his integrity, his good name, will evoke admiration. His partner Jill Seacrest might also elicit admiration although she is not the rock Carter is. I hope it’s a rollercoaster of emotions. Jennifer Chase: Excellent! My kind of story! Now, please bear with me (drum roll please), it’s time to play word association with your main character. Please respond with one word that comes to mind (in your main character’s voice) to the words listed below. Thank you Gary for stopping by and chatting about your latest book. I have Kindred Killers locked and loaded on my Kindle. Gary Starta has been writing fiction for nearly a decade after taking a detour from non-fiction. 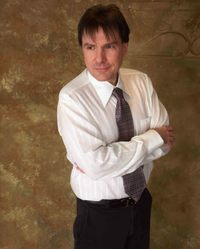 He has a BA in Journalistic Studies/English from UMASS Amherst and previously worked as a reporter. His latest novel, Kindred Killers, is a departure from Starta’s science fiction works. He bases it in Boston, the city just north of where he grew up. This entry was posted in Thriller Thursday and tagged author gary starta, crime scene, crime thriller, detective stanford carter, gary starta, homicide investigation, jennifer chase author, kindred killers, mystery, police procedural, suspense, thriller, zen meditation. Bookmark the permalink.